Aaaand we’re back with more almond butter! I ended up taking a break from the obsession for awhile since my last attempt at a new flavor combo blew up in my face (not literally). I had forgotten one of the previous lessons I had learned when experimenting and ended up having to scratch it. I still used a spoonful in my oatmeal every morning in an attempt to use it up because, well, almonds are expensive and my mind couldn’t justify throwing them away. I FINALLY managed to use up most of it, so yesterday I started tinkering in the kitchen again. 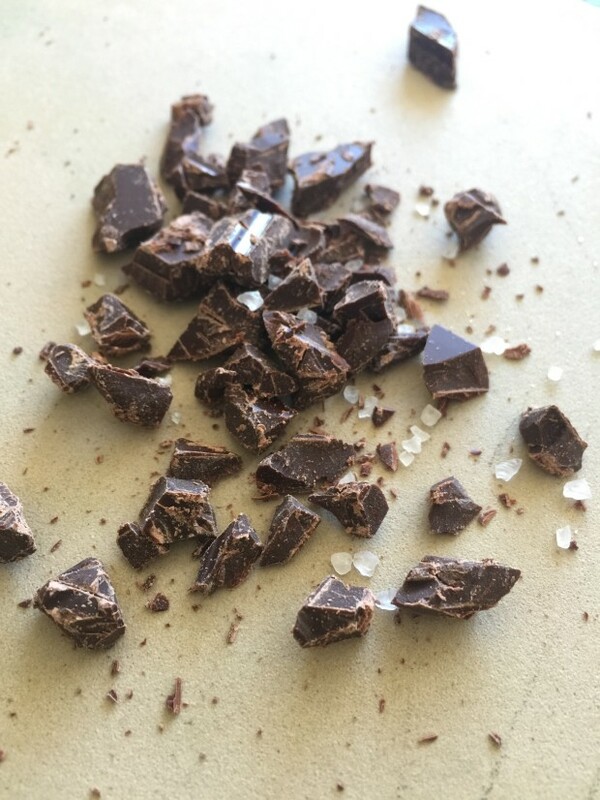 What resulted was a delicious dark chocolate sea salt almond butter that may have re-energized my love for my favorite date topping. I am a bigger fan of dark chocolate than milk, so that is what I used in this recipe. Feel free to use whatever chocolate warms your heart. You can also use chocolate chips, but I only had a bar on hand so I chopped it up. 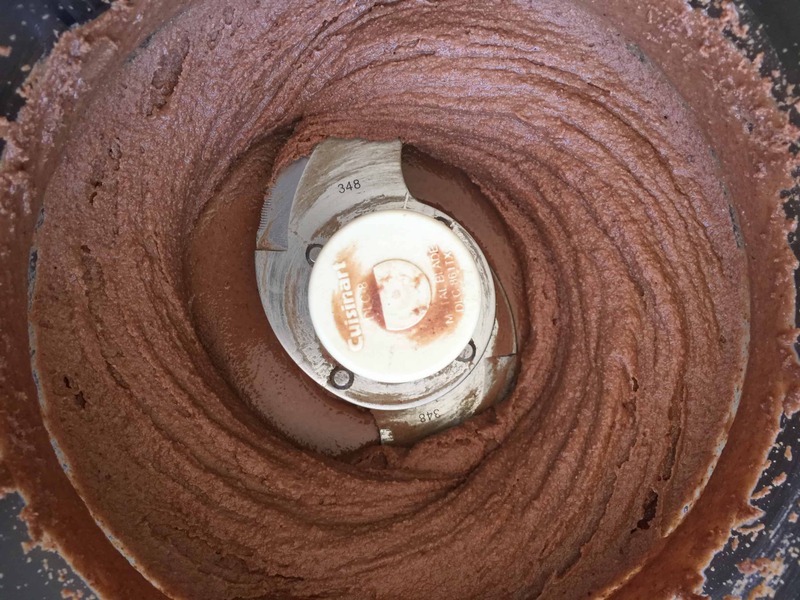 The heat of the food processor will melt the chocolate, so don’t worry about melting it beforehand or adding in extra oils or any of that nonsense. Throw it all together and spin away. Remember from last time that the key ingredient in almond butter is PATIENCE. I didn’t want mine to be too overwhelmingly chocolate, so I used half a chocolate bar. The great thing is that you can taste yours periodically to decide whether you want more chocolate taste. I contemplated just using the whole bar, but then was too lazy to chop the rest up (read: I wanted to eat the rest of it later). Spread 3 cups of almonds on a parchment-lined baking sheet. Roast at 350 for 9-11 minutes. 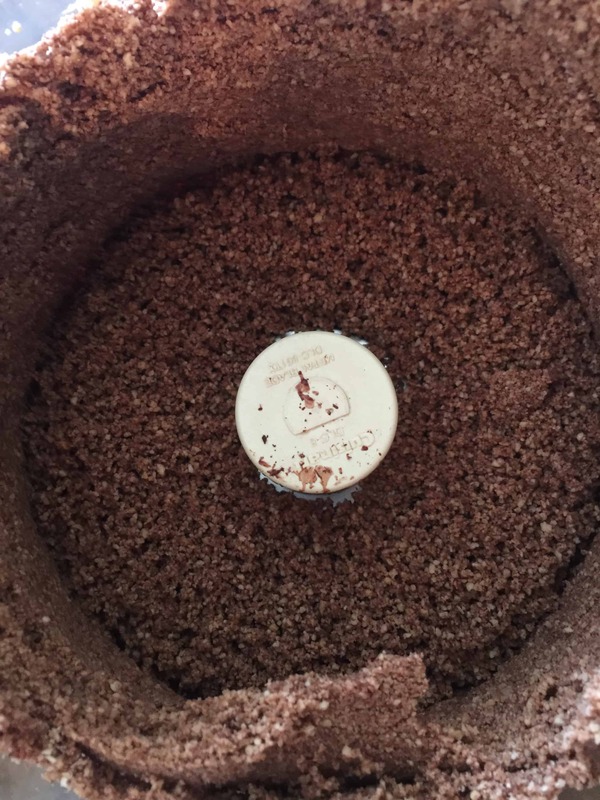 Add almonds, chocolate, and salt to food processor and process until the oils are released and the mixture starts to thin (15-20 min). Once the butter reaches this stage, add the maple syrup. The addition of liquid will cause the mixture to solidify again, but just let it continue to run until it reaches your desired consistency (about 10-15 min). 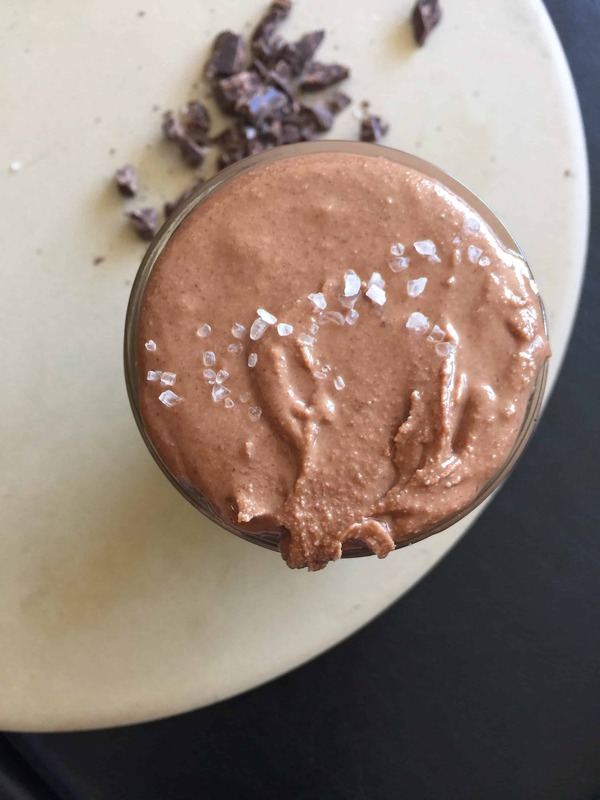 Looking for more nut butter recipes? 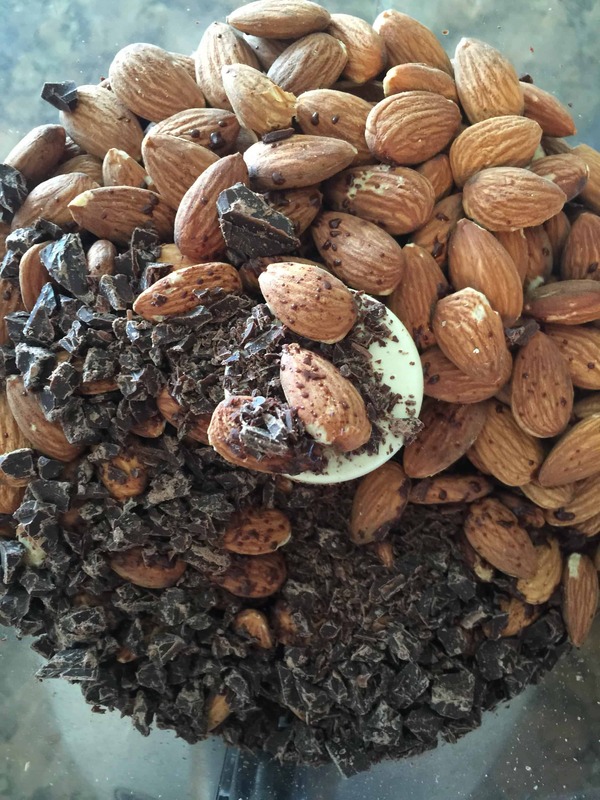 What flavor combinations do you want to see in future nut butter recipes? Which nut should I use next? How is it that something with such a dirty name as nut butter is so delicious and so prettttty? This looks and sounds amazing!! Just don’t use matcha. EVER. O. M. G. I need this in my life. Stat. 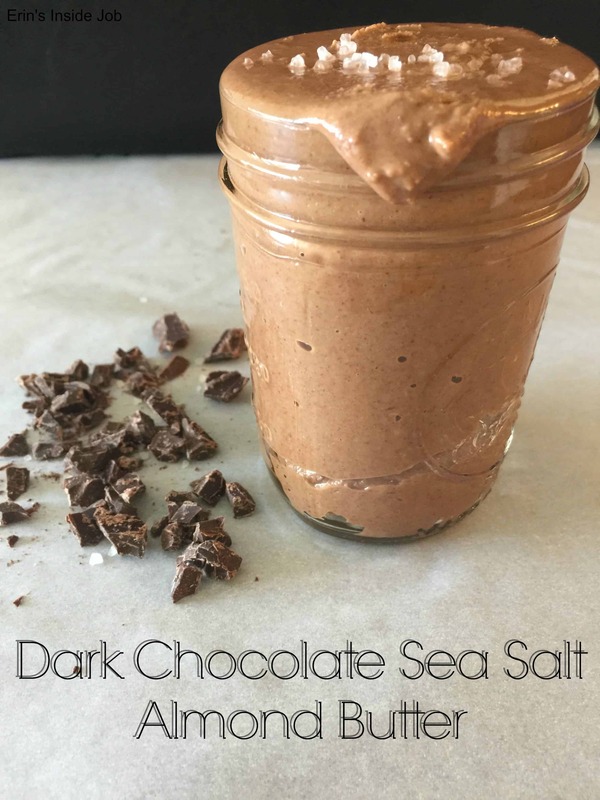 Nut butter is magic (and Susie is so right, such a dirty name lol) I recently tried a dark chocolate / salish combo and it was magical, I bet that would make a good almond butter too! Cashew butter is my fave, but the combo of almonds and chocolate looks killer! Nice job. Looks like I know what nut I will use next! Oh, my gosh. This may cause me to say goodbye to Nutella forever, because that looks like heaven in a jar.